Why Book Your MOT in Salford With Us? 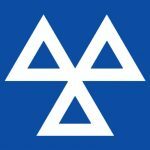 If your vehicle is over 3 years old it will require an annual MOT through an approved vehicle testing station. MOT Testing is our area of expertise at dk performance. We offer affordable MOT Testing in Salford from our friendly and reliable workshop. With over 25 years’ experience in this field, dk performance has the skills and technical expertise to complete class four and seven Ministry of Transport tests. All of the MOT tests we provide are completed by highly-experienced and expertly trained technicians who test vehicles quickly, efficiently and to industry standards, with customer satisfaction guaranteed. We can provide you with an MOT for any make or model of car, van and light goods here at dk performance, and should your vehicle fail its test for whatever reason, our motor engineers in Salford are happy to advise you about the best course of action to take. Our expert garage services offer a full range of vehicle repair and maintenance services, we provide free and accurate estimates for all of the work involved, and we promise to complete everything to a superior standard of workmanship. Over the years we have built an enviable reputation for MOTs, vehicle servicing and repairs in the North West, as a class leading MOT test centre in Salford and Manchester. We set our standards high. If your vehicle needs repairing to pass its test, we only carry out work with your prior consent, and we only use quality replacement parts whilst ensuring your vehicle is roadworthy, safe and legal as soon as possible. Should your vehicle need an affordable MOT test in Salford and Manchester don’t hesitate to contact us today for a no obligation quote. You can book a cheap MOT online and take advantage of our competitive pricing, accurate quotes and first-class customer service, or to speak to us in person. Use the form below to book your MOT and a member of the team will contact you.